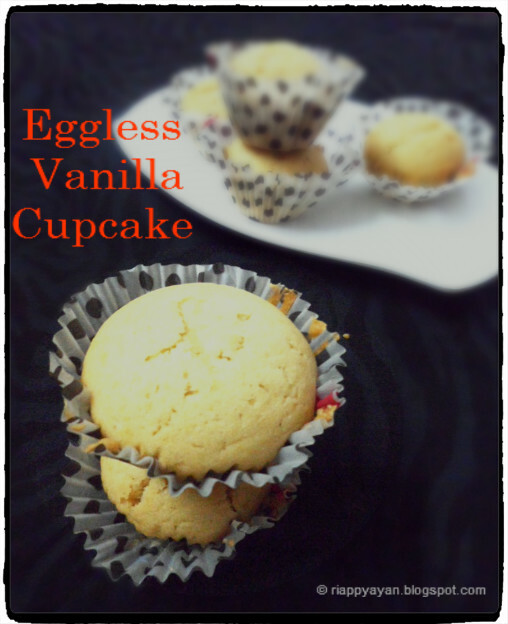 After trying so many different recipes, I'm satisfied with this recipe for eggless Vanilla cupcake or cake. When you want to try eggless, go for this recipe. 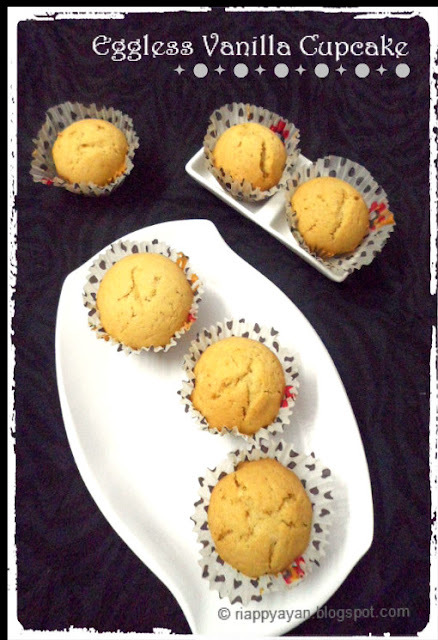 This recipe is butterless too, oil in this recipe makes the cake/cupcakes moist and fluffy. This cupcake/cake you can make in a jiffy and make your kids and loved ones very happy without making hardly any effort. As this recipe is eggless and even butterless, so very healthy and delicious. I make one dozen every week and kids enjoy them for their evening snack. Goes well with a cup of evening tea for grown ups, too. Milk : 1/2 cup(as needed)+vinegar : 1/2 tsp. Preheat oven to 175 C/350 F. Place a liner on your cupcake/muffin tray. Sift together flour, baking powder, baking soda, salt. Mix well. Add powdered sugar. Mix again and keep aside. In another bowl, mix together milk and vinegar or yogurt, add oil and vanilla essence in there. Mix together. Now make a well in the center of the dry ingredients and slowly add this milk+oil mixture little at a time and whisk together until all the dry ingredients are folded. Beat with a wire whisk until you have a creamy batter without any lumps. You can add more milk if needed to get a creamy batter. Now fill the cupcake liner up to 2/3 with the batter. Bake for 30 minutes or until a toothpick inserted comes out clean. Cool on a wire rack. After cooling, you can frost with your favorite frosting. Cute and delicious cupcake...love the eggless version. No woder you are satisfied by with delicious and tasty looking eggless cake. They look awesome. 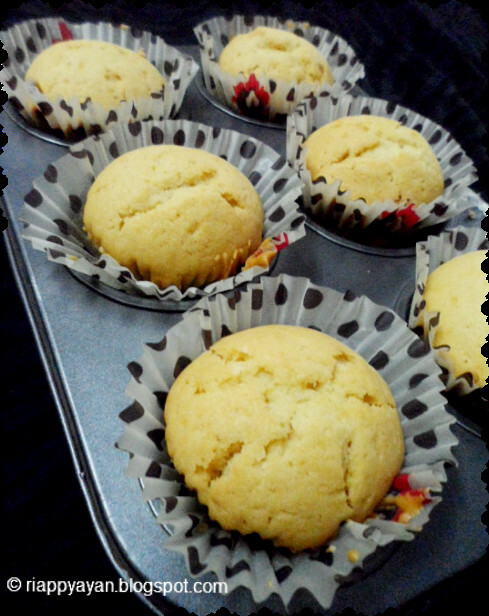 So fluffy and spongy cupcakes, with a cup of coffee i can have two rite now. Vanilla cupcake looks so soft and delicious. For me I followed the recipe but i didn't get the texture of a cake batter so i was forced to add one egg. But despite that it came out pretty well. I did a rainbow styled cupcake. I don't know where I messed up, but the batter was like bread dough, thick and cement-like. I have them in the oven right now, and I hope they turn out right. 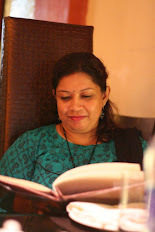 @ Gayathri N, as i mentioned in the recipe, you beat the batter until you get a creamy texture. If your batter is so thick like cement, then you cupcake will come out hard like rock, you could have added little more milk as mentioned in the recipe. Thanks for trying this recipe, don't be dishearten at your first try and failure, baking is an art and I can assure you that at your second try you'll get better result. I think there may be an issue with the amount of milk - mine too turned out bread dough like. So I double the milk (I used soya). and they turned out well. Thank you for this recipe, but please review the amount of milk stated. At what temperature do I have to bake for 30 minutes?